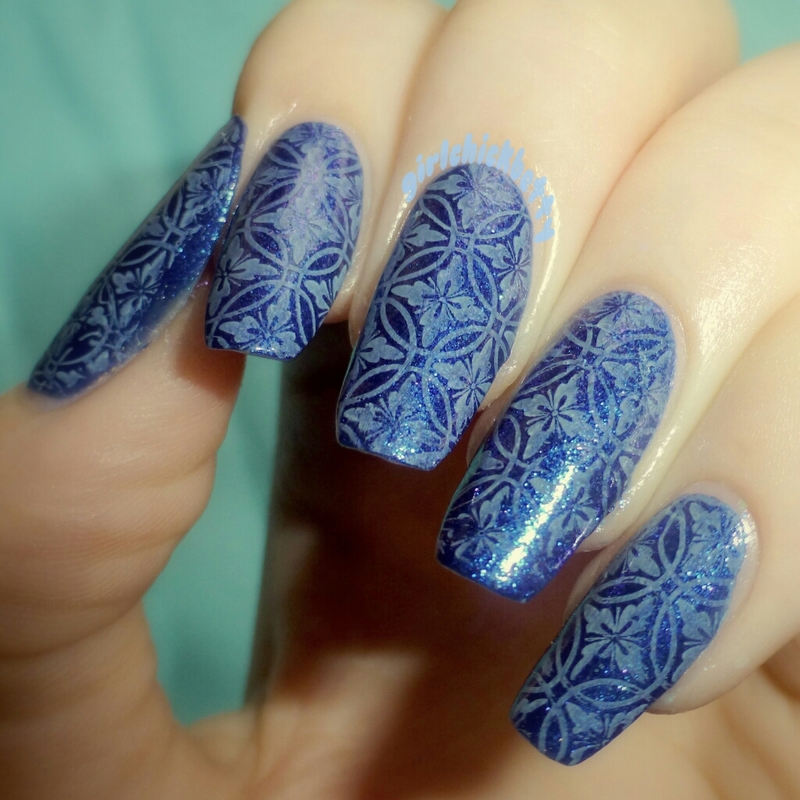 I’ve been playing around with some new stamping plates I got over the holidays, and I created this cathedral window inspired design with BP-L 003. I started these off with three coats of Formula X Beacon, and then I stamped with Pure Ice Home Run. I actually didn’t use INM Out The Door for once, I used a dollar tree topcoat called Miracle Nail, and it somehow didn’t smear my stamping which I was very impressed by!